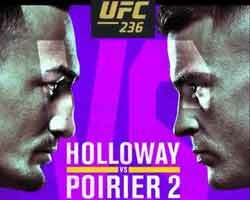 Review: 2014-03-15, some good shots between Carlos Condit and Tyron Woodley but it is not enough to get three stars. Carlos Condit entered this fight with a pro mma record of 29-7-0 (93% finishing rate) and he is ranked as the No.4 welterweight in the world, last year he fought twice losing the first fight against Johny Hendricks (Ufc Ww title eliminator =Condit vs Hendricks) but then he defeated Martin Kampmann (=Condit vs Kampmann 2). His opponent, Tyron Woodley, has a record of 12-2-0 (67% finishing rate) and he entered as the No.13 in the same weight class, he fought three times in 2013 losing only to Jake Shields via split decision (=Shields vs Woodley). Condit vs Woodley is on the undercard of Johny Hendricks vs Robbie Lawler – UFC 171. Watch the video and rate this fight!